Four exciting ways to explore Harbour Trust sites! 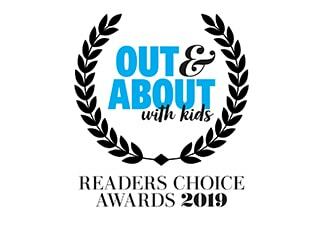 Summer is here and the Harbour Trust has plenty of exciting activities to keep the little ones entertained all holidays! From discovering the hidden mysteries of Cockatoo Island to learning the secrets of the North Fort Tunnels and Headland Park Gunners precinct, there is something for everyone this summer. 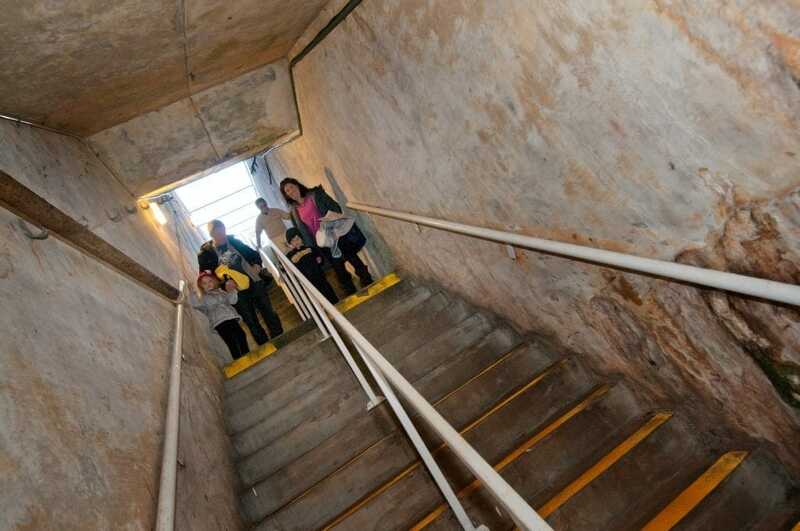 Did you know Mosman has a bevy of underground tunnels dating back to 1870? The Gunners and Tunnels Tour is an intricate weave through the tunnel systems and military emplacements that were used during WWII. Guests will learn about the important role Headland Park played in the defense of Sydney as well as enjoy the beautiful flora and fauna of the area. 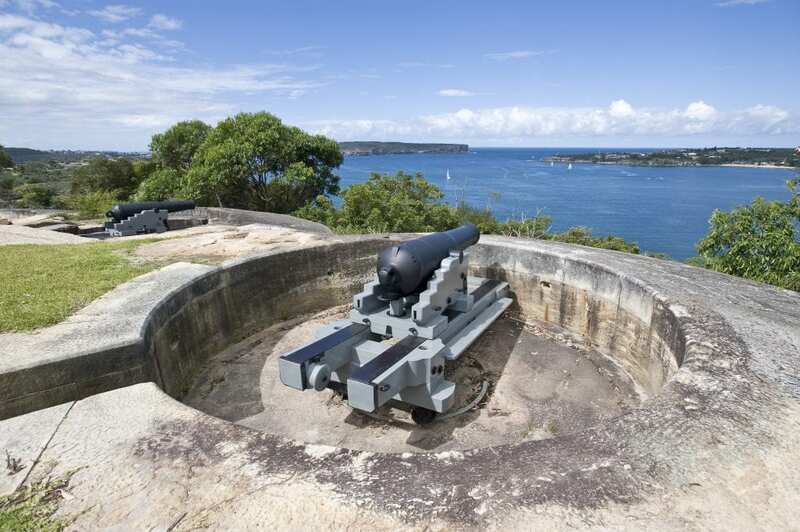 North Fort, located in Manly’s North Head Sanctuary, is part of a 300km coastal defense system. With over 200 meters of complex underground tunneling, a newly restored magazine and shell store and Engine Room, this tour explores the fascinating role North Head played in WWII. Watch and learn as this tour breathes life into the hidden stories of Cockatoo Island. 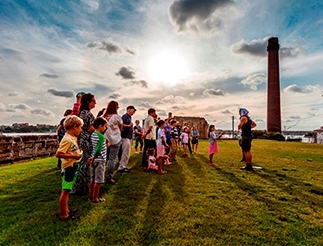 This family friendly experience invites guests to explore the complex history of Cockatoo Island. 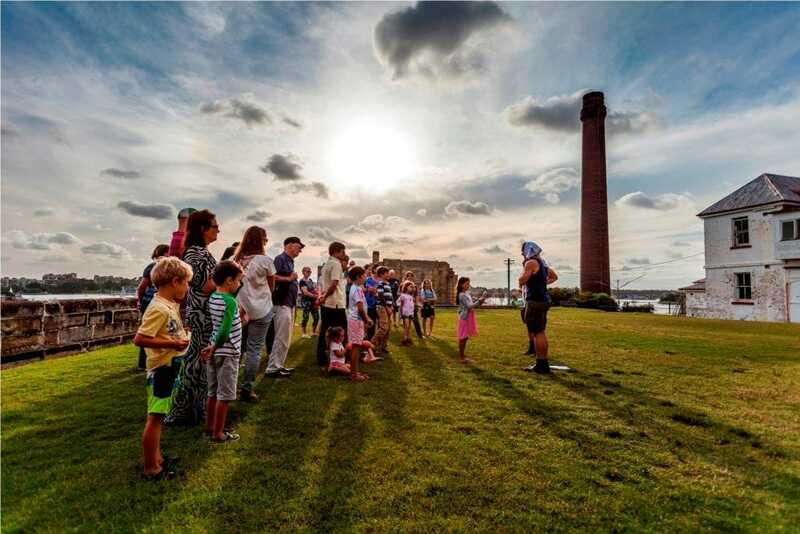 Running every Saturday throughout the summer period, the Haunted History Tour delves into the colonial beginnings of Cockatoo Island, traveling through time to its place as a thriving live entertainment space today. Follow the Ship Shape trail at Cockatoo Island to discover the history of the island ship building past. Available at the Cockatoo Island Visitor Centre, this fun and interactive trail book will allow the kids to explore the island at their own pace. Once the busiest shipyard in Australia, hundreds of ships were built and repaired, including sailing ships, battle ships and submarines. The Harbour Trust protects and manages some of the most historically significant foreshore sites on Sydney Harbour, including Cockatoo Island, North Head Sanctuary, Sub Base Platypus in North Sydney, and Headland Park in Mosman. 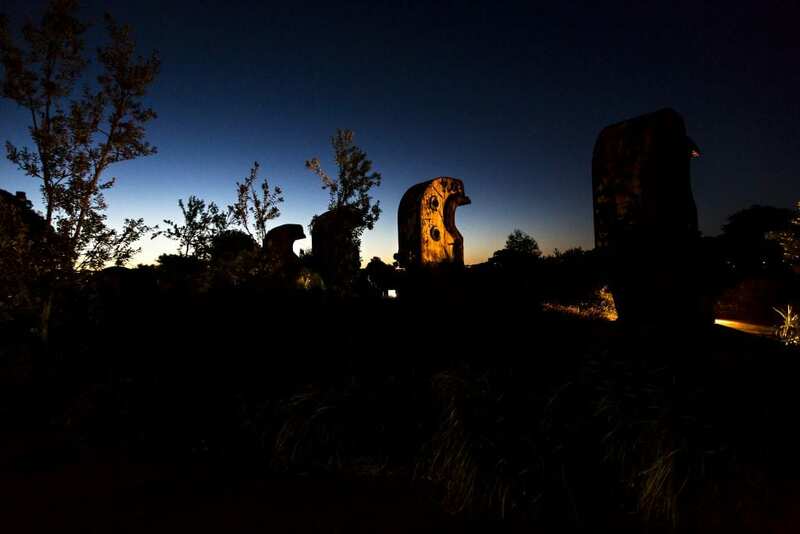 Our sites are rich in history and connect Sydney to our complex past; from First Nations countries to convict incarceration, and from nineteenth and twentieth century military and defence roles to the enterprise and industry of Sydney’s working harbour. Our role is to create new life on these historical sites, making vibrant new places with a mix of uses that Sydney-siders and visitors want to experience. We bring new life to our sites in a commercially sensitive and innovative manner, reinvest back into our sites to allow the public to access and enjoy these once inaccessible sites.